Apex note: Today’s blog comes from one of our trusted partners at Counselors Title, Colleen Smyth. As a Settlement Attorney, Colleen has offered her expertise to answer some frequently asked questions about tenancy options for us here. Take the mystery out of the different types of homeownership and their implications to your property rights by reading on! Q. I am buying a home with my significant other, how should we hold title to the property? the surviving owner automatically inherits the property. 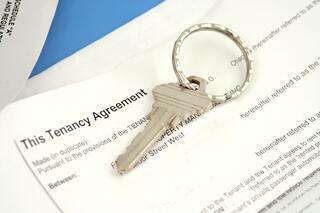 This form of tenancy cannot be altered by will and is only changed with the agreement of both owners. In this scenario, once the engaged couple is married, they can then have a new deed prepared and recorded with the county land records, changing it to reflect the marital status. They will then hold title as Tenants by the Entirety. This form of tenancy has the automatic rights of survivorship upon the death of one spouse, along with the added benefit of judgment protection: if one spouse is sued or has a lien against them, the lien will not attach to the property, with the exception of an IRS lien. Q. I am a parent co-signing for my child’s first home purchase. I will neither occupy the home, nor be responsible for mortgage payment. What type of title do we need? A. In this scenario, the parent and child can hold title as Joint Tenants and have the automatic right of survivorship and equal ownership. The parties can also elect to be Tenants in Common. This allows them to have differing percentages of ownership in the property, and that interest in the property can pass along to the deceased person's estate. For example, you may wish to leave your interest in the property to someone other than the co-owner. Q. I’m purchasing a property with someone else and concerned about what would happen if one party wants to sell the property and the other does not. How does this affect tenancy? A. Hopefully you have addressed this before purchasing the property and entered into a written Tenancy Agreement. A Tenancy Agreement is essentially a contract between the owners that sets forth each of their responsibilities concerning payments, maintenance, and selling the property if one or both of them no longer want to own it. This can be a very important document that can be drafted by your settlement attorney. If you do not have such an agreement and one party wishes to sell, they cannot force the other party to sell or buy them out. Additionally, if one party stops making their share of the payments due, the lender views both parties as fully responsible for the entire monthly payment. This is a very important and highly-recommended document that is best used whenever unmarried persons own property together. Didn’t find the answers about tenancy you were looking for? Leave a comment with your title questions and we’ll get you the expert information you seek.